Among the musicians from Kinston, North Carolina who have created legacies in the world of music, one of the earliest to be recognized was the jazz composer and band leader J. Tim Brymn. Born in Kinston, Brymn was educated at the Christian Institute in Franklinton, North Carolina, and then Shaw University in Raleigh. Around 1900, he left North Carolina for New York, where he attended the National Conservatory of Music of America—a prestigious and progressive young institution, where Antonín Dvořák had served as director a few years before Brymn’s arrival. Brymn soon launched a successful career, writing songs that became hits for ragtime and other popular music performers, scoring musicals for black theater companies, and conducting dance orchestras. He was an early member of New York’s Clef Club, a professional and fraternal organization that not only helped improve working conditions for black musicians, but also showcased their talents. The Clef Club orchestra, with about 125 members, made jazz history with its Carnegie Hall concert in 1912. Brymn served as director of that orchestra in 1914. 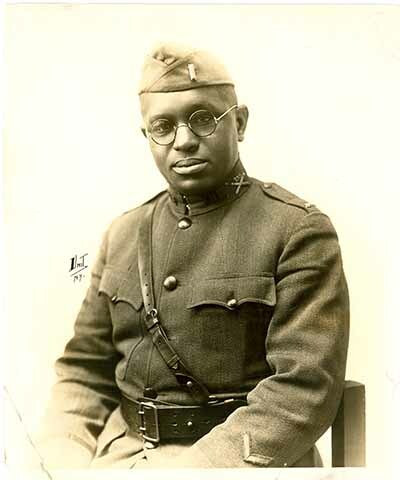 As a first lieutenant in the U.S. Army during World War I, Brymn directed the 350th Field Artillery regimental band. Bringing syncopated jazz rhythms to new audiences, this group enjoyed popularity in France that rivaled that of the 369th Regiment’s famous band, James Europe’s Harlem Hellfighters (which included Noble Sissle and Bill “Bojangles” Robinson). After the war, Brymn took his much-acclaimed band, known as the Black Devil Orchestra, on a successful American tour. Soon afterward, they made a series of recordings for the OKeh label. Brymn’s compositions include the “Tar Heel Blues Rag” (1914), and “Cocoanut Grove Jazz” (1917), which the Library of Congress has described as one of the earliest pieces of published music to include the word “jazz” in the title. With W. C. Handy, who composed the music, Tim Brymn wrote the lyrics for “Aunt Hagar’s Blues,” which has been recorded by Lena Horne and Louis Armstrong, among others, and was sung by Pearl Bailey in the 1958 film St. Louis Blues. In 1919 at the commencement of the Paris Peace Conference at the conclusion of World War I, Brymn and his Black Devil performed for attendees President Woodrow Wilson and General John Pershing. Bryan, Sarah, Beverly Bush Patterson, Michelle Lanier, and Titus Brooks Heagins. African American Music Trails of Eastern North Carolina. (China, 2013) p. 4. "Lieutenant J. Tim Brymn." From W.E.B. Du Bois Papers (MS 312), Special Collections and University Archives, University of Massachusetts Amherst Libraries.